Mark is an experienced Meditation Teacher and practitioner. He has an academic background in Psychology, Business Studies, Theology and the study of World Religions. He has a Masters in Philosophy from the Irish School of Ecumenics and Peace Studies, Trinity College, Dublin. He has worked professionally in both the business and charitable sectors. Mark is deeply inspired and informed by the teachings and writings of Pema Chodron (latest weblink https://gampoabbey.org/gampo-acharya-ani-pema-chodron/ ) and the late Ayya Khema (latest weblink http://www.buddhanet.net/masters/ayya-khema.htm). He is committed to an inclusive, ecumenical (non-sectarian) Buddhist approach as taught by Buddhist teachers such as Jack Kornfield, Stephen and Martine Batchelor, Tara Brach(latest weblink https://www.tarabrach.com) and Lama Surya Das(latest weblink http://www.surya.org.). His integrative approach to psychotherapy has been enriched and informed in recent years by the work of Mark Epstein(weblink http://markepsteinmd.com), Ruthie Smith (weblink http://theflamecentre.co.uk/about-us) and Donald Kalsched (weblink https://www.donaldkalsched.com). 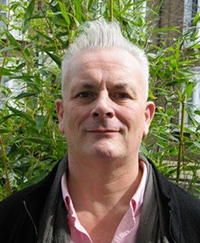 Mark’s psychotherapy practice is based in Central London – WC2N 4EH and North London NW3 2NP. To contact Mark, for an initial consultation, or to find out more, please email mark@buddhistpsychotherapy.org.uk or contact him by phone on 020 7209 3224 or 07973890164.